I really did find this show depressing. Overall it lacked energy and excitement. Some exhibitors already were in hard-core zombie mode just one hour into the first day. But there were some real surprises as there always are. Naturally I missed plenty. That's what other show reports are there for. The resourceful reader will cross reference. In the end, one hopefully has a pretty good notion on who was there and what was shown. From the US press, SoundStage, EnjoyTheMusic and StereoTimes reporters made the rounds. From Germany I always missed our colleagues from FairAudio who'd just been to the same exhibit a half hour earlier. From Poland, Wojciech Pacula of HighFidelity covered the affair. There'll be altogether plenty to read I'm certain. Ours is just one peg in the bigger wheel. 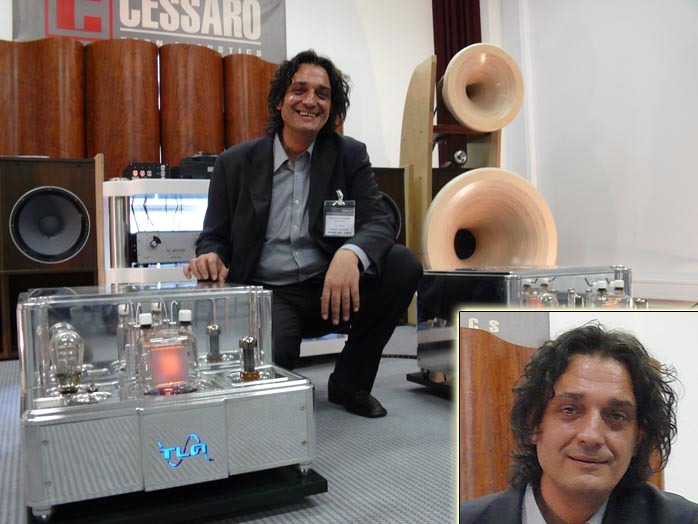 On the surprise-o-meter, Velissarios Georgiadis of TruLife Audio pegged the needle at red line. The latter is somewhat literal once we consider the 1800 volts he had on the rails of his direct-coupled (interstage-transformer) 833-based 140kg Reference monos. 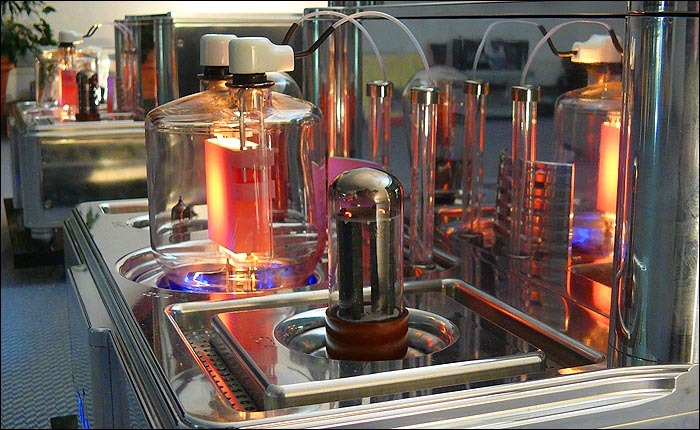 They put out 150 watts in class A single-ended triode mode and ran a 6C45 to drive a 300B to drive the squat but brightly glowing output bottle with the twin cap leads. 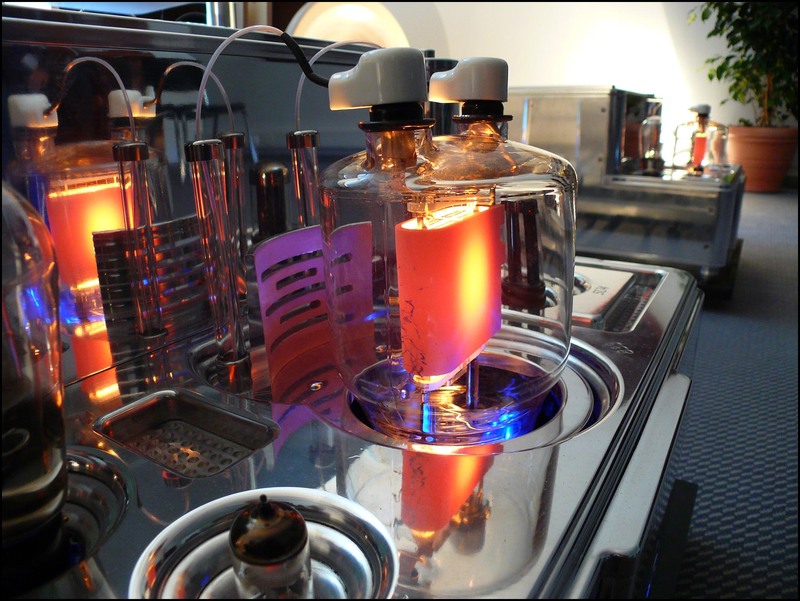 "When I announced my plans to build these, everyone told me not to. Nobody would buy them. I didn't care. That's not why I embarked on this project. Of course we've already sold two pairs now so the pessimists were wrong." Unlike the build-it-and-they'll-come crowd with their heads in the clouds, Velissarios is firmly rooted in pragmatism. His company has designed and manufactured transformers for generations and continues to do so. 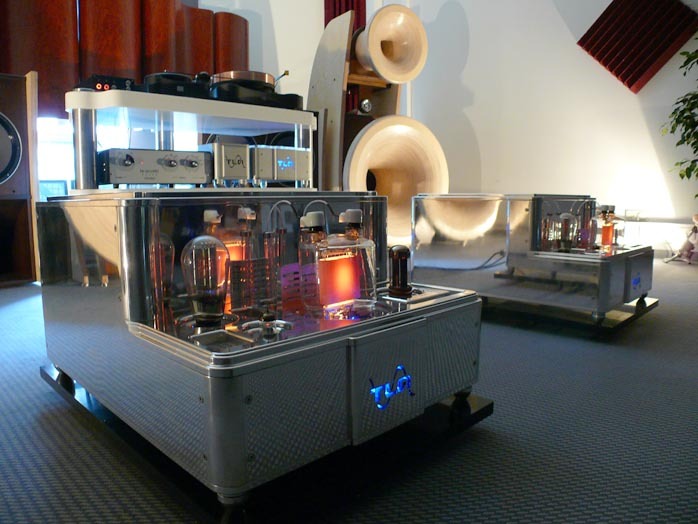 The TruLife Audio division is squarely for passion. 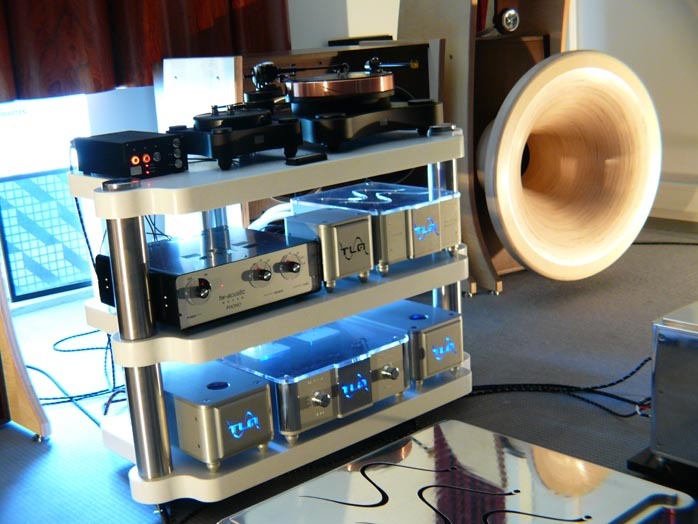 It just so happens to be very successful in a niche market that can support very expensive boutique tube audio. But things in Athens aren't geared toward volume production. Nor does their survival depend on it. These folks take their time. They only issue products if and when they have something worthwhile to contribute. 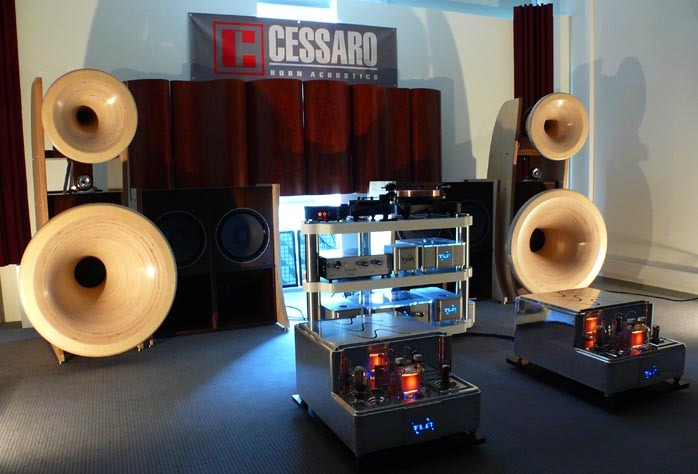 Amazingly, these ultra-powerful SETs proved perfectly quiet in operation on the ultra-sensitive German Cessaro hornspeakers. This system passed the 'altered state' test very quickly where emotions take over to transport us to elsewhere. Where exactly that destination is differs from person to person. What system triggers the 'interstellar' launch does, too. This was one of the very few rooms which did it for me.